Yes, you read that right. Taco Bell is getting a liquor license. We all know what a trip to Taco Bell usually entails. It’s something we mostly consume via the drive-through, virtually inhaling it while sitting in our cars, then hating ourselves a little bit for ever having had the craving in the first place. Sometimes, Taco Bell is more of a late-night experience, stumbling in after a party or the bar, scavenging for food. But Taco Bell has never really been a restaurant experience. Until now. 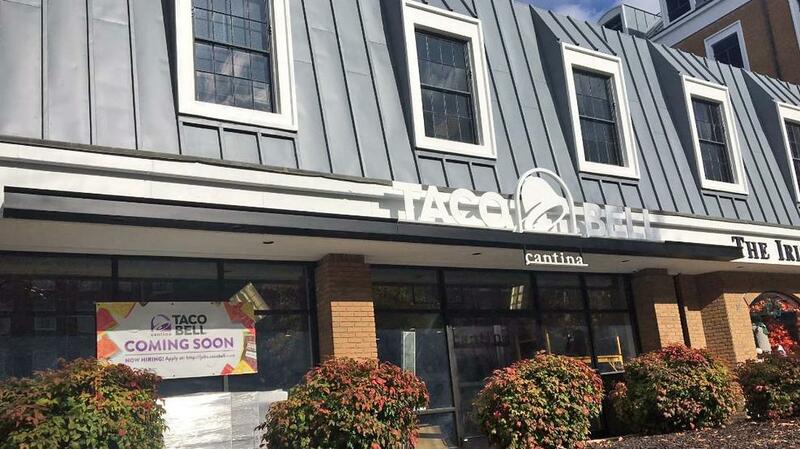 King Street will never be the same: Old Town Alexandria is set to open one of the first Taco Bell Cantinas on Friday, December 21. Different than a regular Taco Bell, the cantina concept will feature a sleeker, modern, and more spacious design inside that will allow for a friendlier and more engaging dining experience (we hope). It will also (wait for it), serve alcohol. A gamechanger for sure! 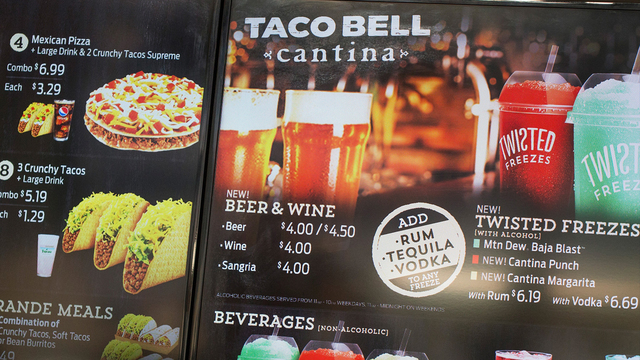 Yes, Taco Bell is venturing into cocktails. And beer and wine. Now you’ll be able to enjoy your regular burrito, taco, and whatever else you usually order, with an alcoholic twisted freeze (a beverage I assume comes in slushie format) on the side. Or, if you’re not into the whole frozen sugary cocktail thing, an ice cold beer. Though this is still in the works, Taco Bell is also looking to expand its menu offerings, creating items that can be shared amongst guests, as well as additional entrée-sized meals. Old Town Alexandria will be a good location for the company to understand whether the D.C. area is interested in a concept like this. King Street, which runs through the heart of Old Town, is very walkable, and foot traffic often means people popping by to check things out. There are Taco Bell Cantinas currently in Chicago and New York and a few other cities around the country. While they seem to be fairly successful there, the D.C. market probably seems like a great next step. Are you ready for a Taco Bell restaurant? Share your thoughts on this fast-food development in the comments below! Check out our NoVA Restaurant Review of Peking Gourmet Inn in Falls Church! Stop by Virginia's Our Community Now homepage for more news, events, and conversations! The Arlington County Native Plant Sale Helps You Bring on the Butterflies!